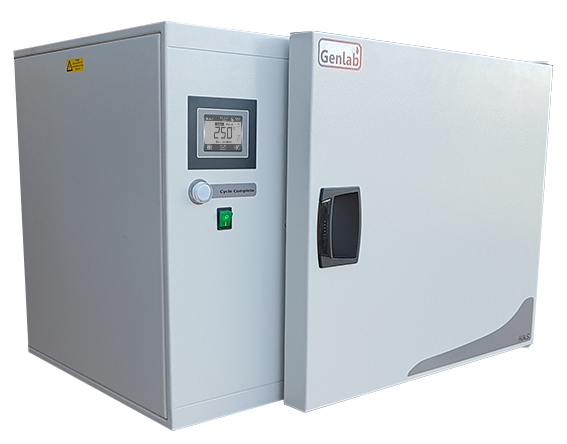 The GENLAB General Purpose & Laboratory Incubators offer a range of highly efficient, reliable, cost effective units to suit most biological analysis, research and general laboratory applications. The Genlab range of Dual Purpose Ovens / Incubators combine the advantage of two temperature ranges in the same unit. 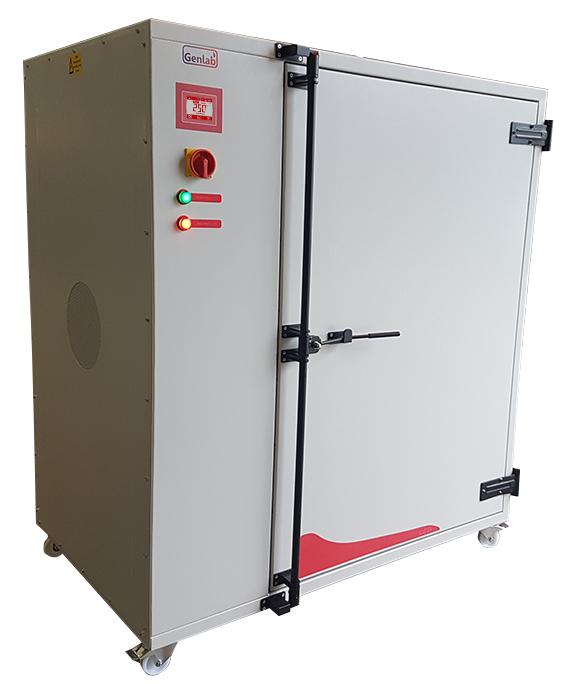 Using bespoke firmware designed specifically for this chamber size, and a calibration class temperature sensor, we can offer accurate control up to 250.0ºC without temperature overshoot. 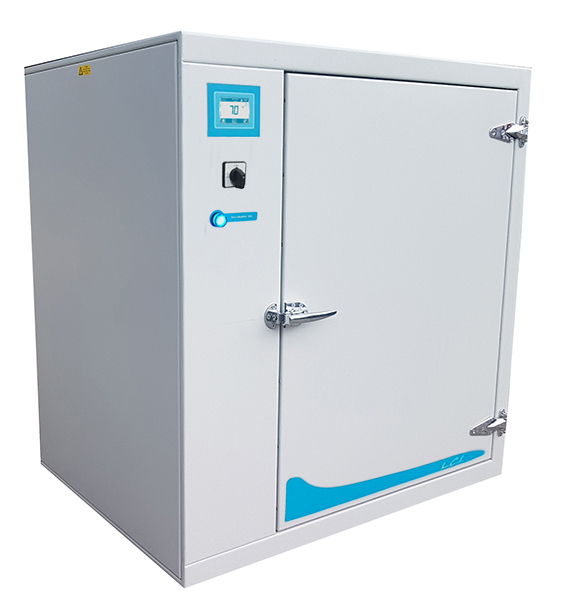 The same chamber can also maintain a steady 30.0ºC* constant temperature by simply adjusting the set point. Available in a variety of sizes and designed with both side or base mounted displays to suit your exact needs. Heated by Incoloy sheathed elements positioned in the side fan duct for all units except the 250H and 350H which have a base fan duct. 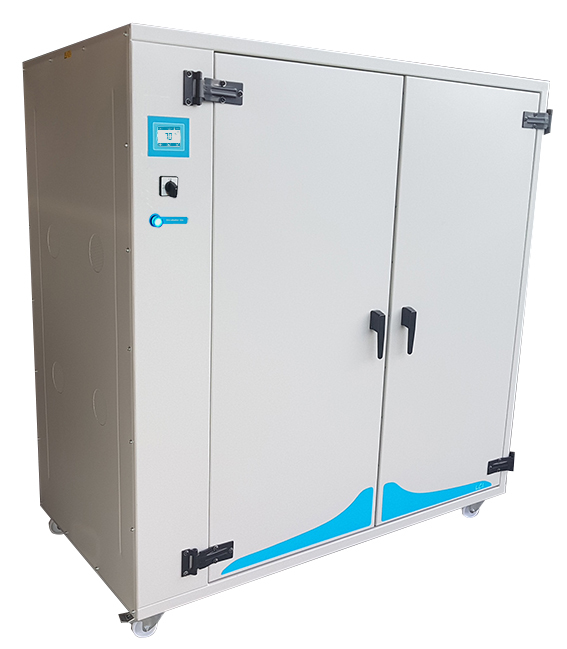 The GENLAB Large Capacity Multipurpose Incubators offer a selection of highly efficient, reliable and cost effective units. 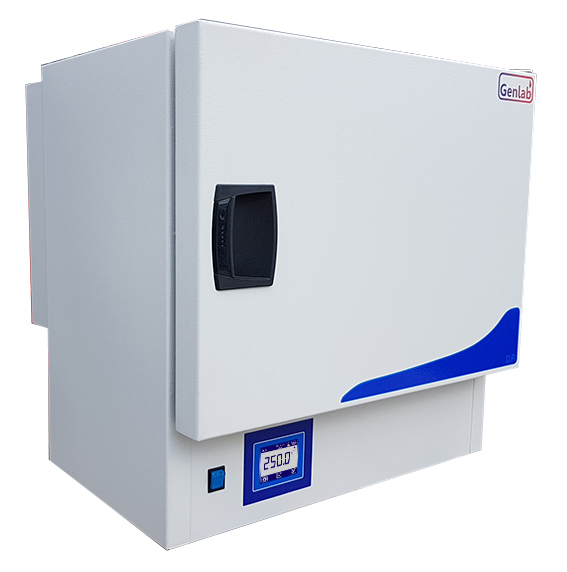 They are suitable for larger applications of incubation, research and general laboratory applications. Featuring our latest touch screen control system which offers intuitive control and excellent accuracies designed for laboratory incubators. The vertical style units (V) are fitted with single doors, the horizontal style units (H) are fitted with twin doors. The control system comprises of a bespoke touch screen interface that offers both accurate temperature control and an integral overheat system by using 2 individual Pt100 sensors. Advanced features can be turned on and off to suit bespoke heating applications and tailored to customer preference. Oven trending is disaplayed for up to 48 hours and optional upgrades are available for alarm outputs. 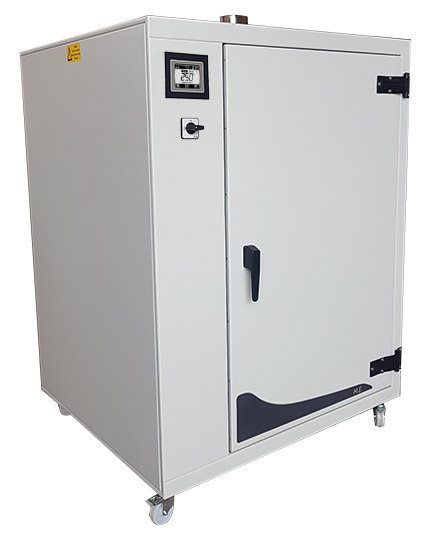 Hot air sterlisation is one method of effectively killing microbes of all kinds, especially bacteria, viruses and moulds on heat-resistant metals. 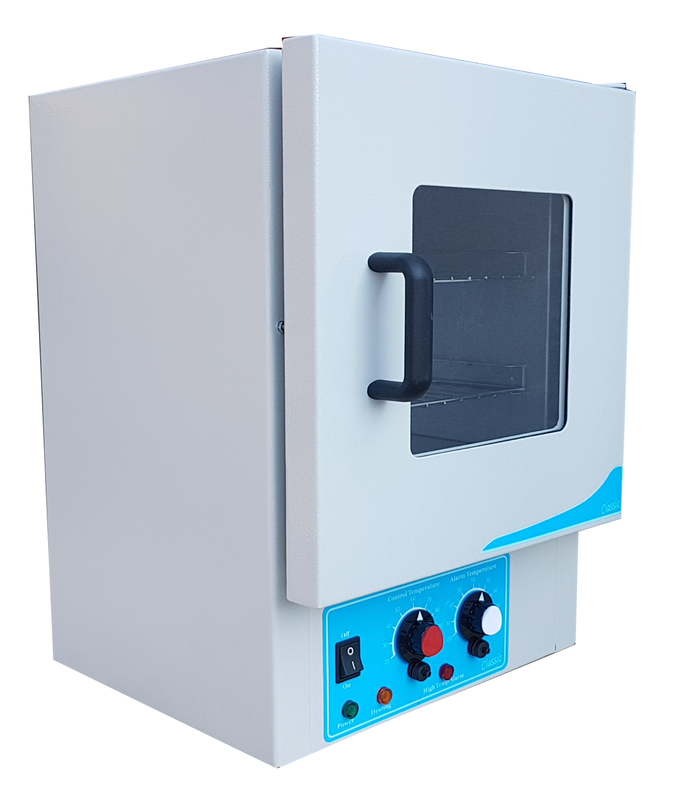 Genlab's hot air steriliser ovens are used in many hospitals, laboratories, veterinary and medical clinics to sterilise surgical and cosmetic instruments, glass and petri dishes. It features our latest touch screen control panel, which offers intuitive control and excellent accuracies and features and interactive timer system. This ensures the count down timer does not start until the set point is reached and pauses if the chamber temperature falls below the set point. This ensures the sterilisation time is guaranteed at all times, irrespective of the sterilisation load and chamber volume. The exterior is constructed from sheet steel finished in an easy clean powder coated paint. The interior chamber is made from 304 stainless steel and supplied with removeable chrome plated wire shelves for good air circulation. Optional inlet filters are available with prevent small dust particles entering the chamber. Please note this adds 50mm width to the external dimensions below. The control system comprises of a bespoke touch screen interface that offers both accurate temperature control and an integral overheat system by using 2 individual Pt100 sensors. Advanced features can be turned on and off to suit bespoke heatinh applications and tailored to customer preference. 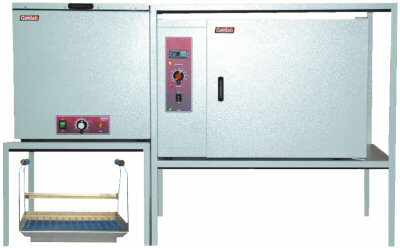 Oven trending is displayed for up to 48 hours and sterlisation sequences can be started from a single button press. All units have stainless steel interior with touch screen interface and interactive timer as standard. The GENLAB range of unstirred water baths is ideal for general laboratory use and are economical, reliable and very cost effective. Units are available with standard thermostat control or, for more detailed work, can have a PID Microprocessor digital controller. The exterior is constructed from sheet steel finished in an easy clean powder coated paint. The interior is constructed of stainless steel with a perforated tray covering the heating element. Control is via an easy set thermostat with indicator and an on/off switch. All units have thermostat control as standard. 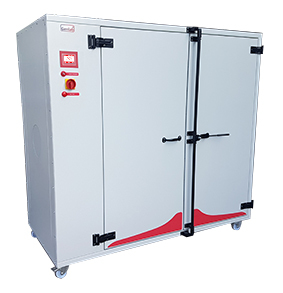 The Genlab range of Moisture Extraction Ovens are specifically designed to provide rapid drying and removal of excess moisture. Increased air circulation around the chamber and larger extraction vents offer superior drying times. It features our latest touch screen control system which offer intuitive control and excellent accuracies designed for stable drying conditions. 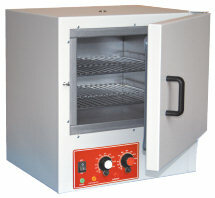 The ovens are specifically designed for the rapid extraction of moisture and are fitted with a 75mm diameter outlet vent, suitable for connection to most external extraction systems. The exterior is constructed from mild steel coated in aluminium (CLAD), with a stainless steel chamber available as an option. It is also fitted with fixed shelf runners and removable chrome plated wire grid shelves. All units have stainless steel interior with touch screen interface, high speed air circulation fan and increase vent size as standard. Genlab have designed a Wax Tank and Drying System that is ideal for post processing within the 3D printing industry. The system can be purchased as a complete kit or as individual parts to suit each requirement. 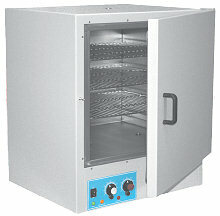 The drying oven has a capacity of 100 litres and a temperature range of 40°C to 250°C. The control system comprises of a PID Microprocessor controller with dual displays of set point and actual temperature. Heating is by Incoloy sheathed elements positioned around the circulation fan on the side wall of the chamber. 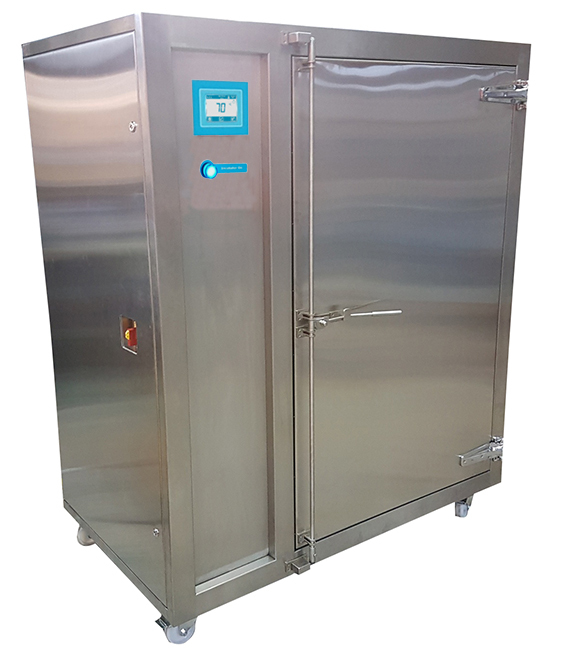 The wax tank has a capacity of 40 litres and a temperature range of 40°C to 100°C. The exterior is constructed from sheet steel finished in an easy-clean powder coated paint and the interior chamber is made from stainless steel. The control system comprises of a direct reading thermostat with mains switch and heat indicator. Heating is by Incoloy sheathed elements positioned at the base of the unit. The oven stand is designed to contain the unit at a convenient under bench height and has a large surface work top. The wax tank stand is designed to sit the unit at a convenient working height alongside the oven. The stands can be connected together on either side as preferred. The items can be ordered as a complete kit or as individual items. Genlab’s latest universal bench top PID Stations are popular among laboratory technicians, R&D engineers, and thermal engineers who want the latest PID controllers housed in an easy to operate and safely packaged solution. Using Eurotherm’s latest P116 controllers for both closed loop PID control with an integral safety control loop monitoring the status of the controller and process loops. of any heating load. If the safety sensor is removed or the process is getting unexpectedly too warm, the station will go into an alarm mode. In alarm mode power to the heat source is isolated until it returns to a safe temperature and the operator presses the reset button. The units come complete with a standard IEC lead making it compatible globally. 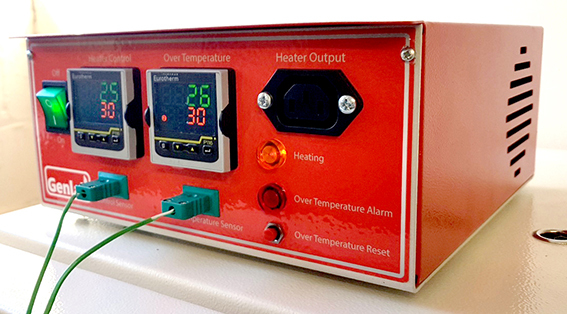 With some of the most advanced PID firmware available in today’s market, these bench top stations will provide you with excellent temperature control, reduced overshoot and great stability, yet are designed to be simple to operate. Rear mounted earthing points are also installed for 2 wire heater loads. The PID stations can be tailor made to suit customer needs. As standard, the units are made with a main control loop and an overheat safety controller. Eacg controller uses its own type K sensor via the mini panel sockets. Any heater load can be connected via the IEC plug supplied and the LED indicates when power is being applied to the heat load. The units come with a standard IEC lead making it compatable globally to connect to any standard plug socket. It also comes with a universal plug (supplied loose) to connect any style of heater. Rear mounted earthing points are also installed for 2 wire heater loads. Using Eurotherm's latest P116 controllers for both closed loop PID control with an intergral safety control loop monitoring the status of the controller and process loops. 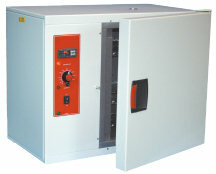 Profile control stations use Euotherm's latest EPC3016 8 stage profile control. Either option offers one of the most advanced PID firmwars available in todays market. these benchtop stations will provide you with excellent temperature control, reduced overshoot and great stability, yet designed to be simple to operate. 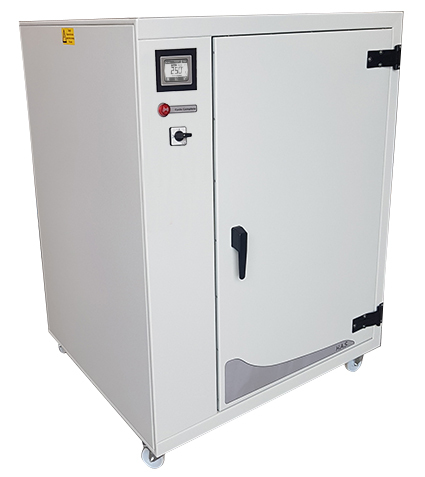 The GENLAB Classic range of Incubators offers a selection of highly efficient, reliable, cost effective units to suit most biological analysis, research and general laboratory applications. 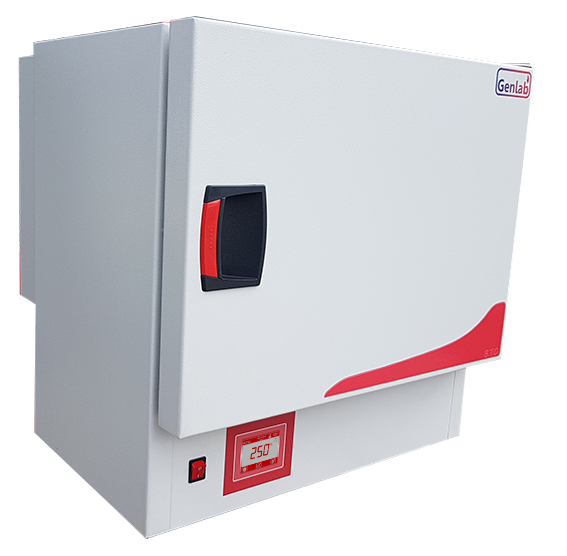 The GENLAB Classic range of Ovens offers a selection of highly efficient, reliable, cost effective units to suit most drying, warming and general laboratory applications. 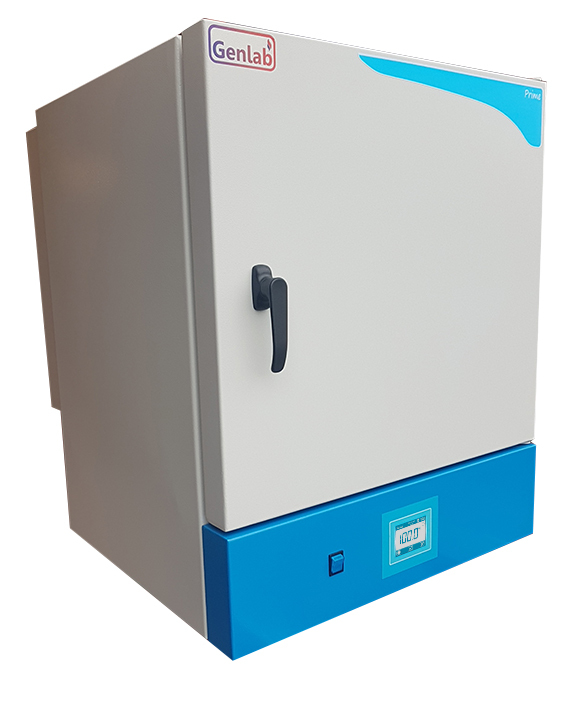 The GENLAB Digital range of Benchtop Incubators offer a range of highly efficient, reliable, cost effective units to suit most biological analysis, research and general laboratory applications. The GENLAB range of Benchtop ovens offers a range of highly efficient, reliable and cost effective ovens to suit most drying, warming and heat treatment processes. 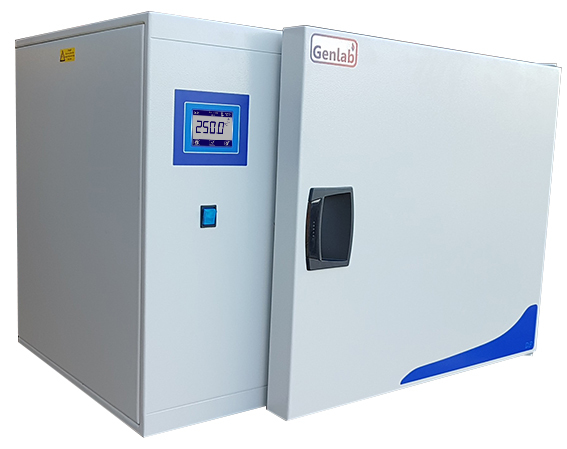 The Genlab range of Prime Incubators are the flagship brand of Genlab Incubators. They are built to the highest standards and packed with many features and enhancements. The Genlab range of Prime Ovens are the flagship brand of Genlab Ovens. They are built to the highest standards and packed with many features and enhancements. 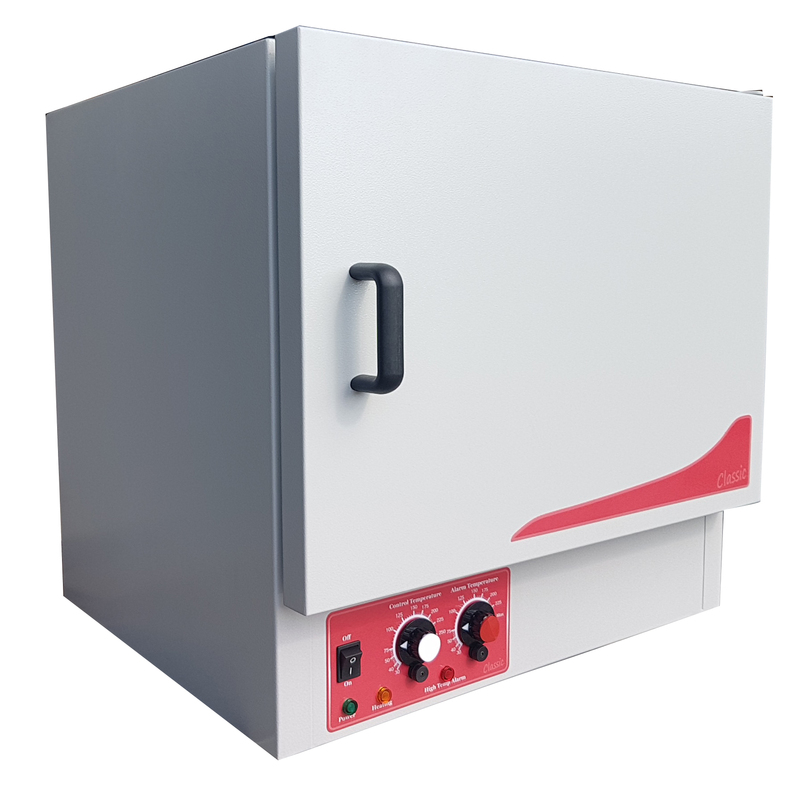 The GENLAB Dual Purpose Oven / Incubator combines the advantage of two temperature ranges in one unit . 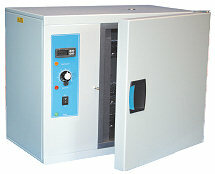 The Genlab range of Large Capacity Incubators offers a selection of highly efficient, reliable and cost effective units. 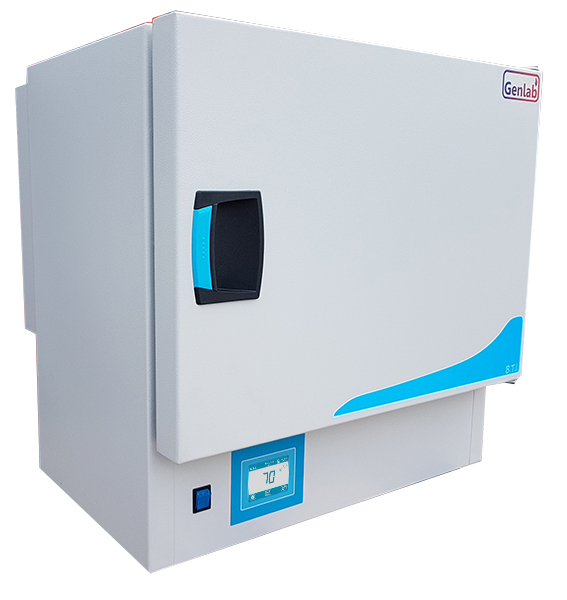 They are suitable for larger applications of incubation, research and general laboratory applications. 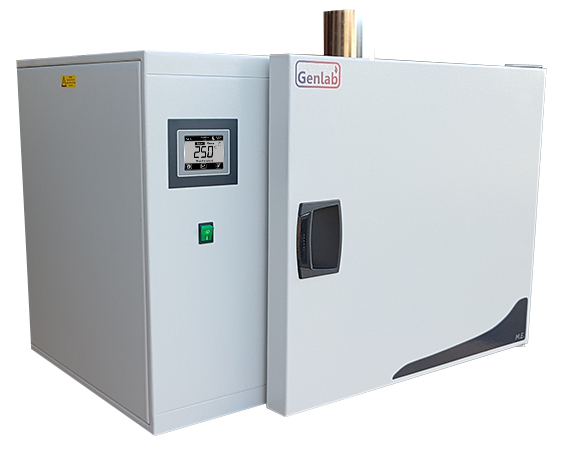 The GENLAB range of Moisture Extraction Ovens are specifically designed to provide rapid drying and removal of excess moisture. 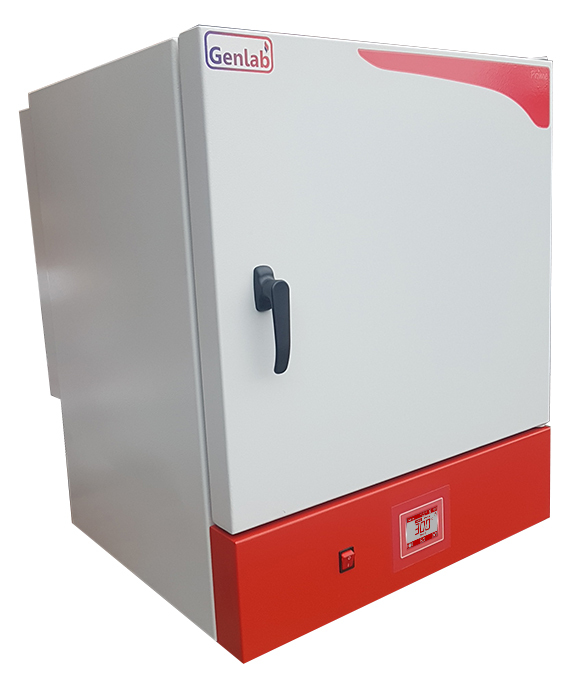 Genlab manufacture a comprehensive range of Laboratory Ovens, Laboratory Incubators and Drying Cabinets ranging from 6 litres to 1250 litres. Our lab ovens and lab incubators are used in the science, education and medical markets worldwide. All Genlab products are hand built in the United Kingdom, CE marked and manufactured with an easy clean powder coated body. Our ovens and incubators can be supplied with our bespoke touch screen control system or you can chose from a wide range of controllers and data recorders to suit the application. Furthermore we are also able to offer a full custom build service to meet customer's special requirements.